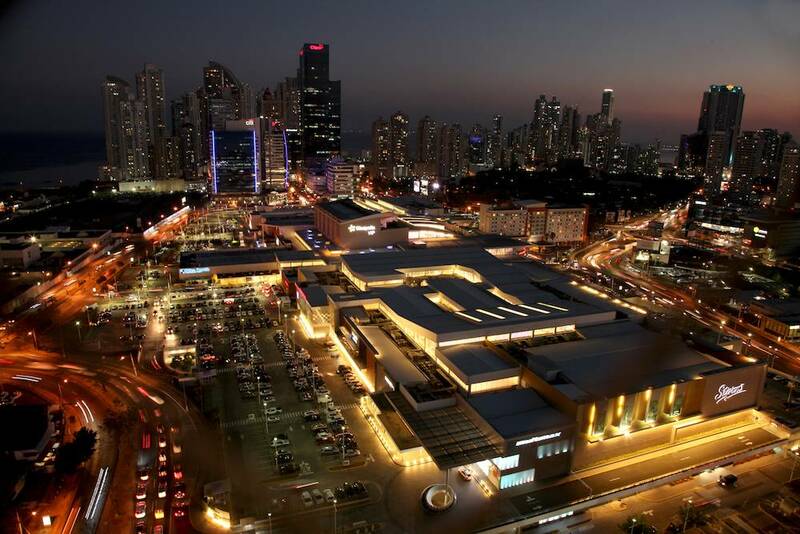 Panama City’s leading upscale shopping center is undoubtedly the Mall MultiPlaza Pacific in Punta Pacifica the top new subdivision built where the domestic airport use to be. The construction of the new Highway to the International Airport required a large filling which was utilized for the development of a high class conglomerate of commercial and residential buildings. One of the areas was dedicated to this Mall that now make up over 400 stores. The success has been spectacular and they have already expanded to double the original size incorporating in the new area Express, Forever 21, Bershka, Pull and Bear, Stradivarius, Brooks Brothers, GAP, Banana Republic, Desigual, EPK, North Face and Renuar adding to their traditional original luxury brands such as Louis Vuitton, Hermes, Nautica, Cartier, Carolina Herrera, Zara, Chanel, Ermenegildo Zegna, Bvlgari, Tiffany & Co., Jimmy Choo, Salvatore Ferragamo and Fendi. It is notorious the presence of many European names at prices that are advantageous to the Euro prices you get in the same Europe.